Milwaukee Brewers right-handed pitcher Jimmy Nelson has been shut down for a few days after experiencing what is being termed “arm fatigue” by team officials. Nelson is trying to make his way back from a shoulder injury that saw him miss the entire 2018 season while recovering from surgery. GM David Stearns told the Milwaukee Journal Sentinel that he’s not concerned right now. They’re skipping a bullpen session and will wait until Nelson feels he’s ready to throw again. 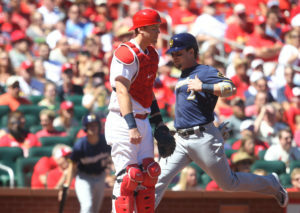 “He didn’t play catch over the weekend,” manager Craig Counsell said. “There was just a little discomfort, and so we just went slow. It’s a very minor setback, and he’ll be back out tomorrow playing catch and moving forward again. “I think he is close to pitching in a game, but it’s not going to be this week. He’s going to have to face hitters first, so he’s got some steps to go. Look, we’re being conservative. That’s first. There’s no red flags beyond that. It was really just three days we’ve slowed him down. 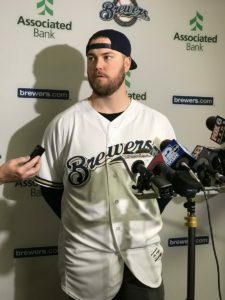 A pair of prospects combined to lead the Milwaukee Brewers to a 3-2 Cactus League win over the Cincinnati Reds on Wednesday. Lucas Erceg, who was playing in just his second Major League spring training game, singled in another prospect, Mauricio Dubon to give the Brewers the win in Phoenix. Keon Broxton clubbed a leadoff home run and Scooter Gennett singled in another first inning run. Gennett also doubled and is off to a .625 start this spring. The Brewers improved to 2-3 this spring and will face the Seattle Mariners this afternoon. Matt Garza gets the start for the Brewers. The Milwaukee Brewers announced the signing of 13 of their draft picks from the 2016 MLB draft class. 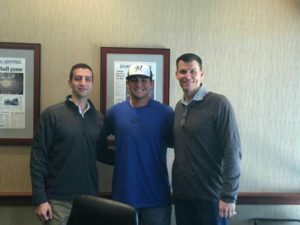 The signings include second-round 3rd baseman Lucas Erceg, from Menlo College in California. Erceg reportedly signed for $1.15 million, which is below the slot for the 46th player taken. In all, the Brewers have five of their first ten picks signed to contracts. Sixth-round pick Payton Henry, a high school catcher from Utah, received a reported $550,000, which is well over the allotted slot. The Brewers had some extra money after saving on Erceg’s deal. 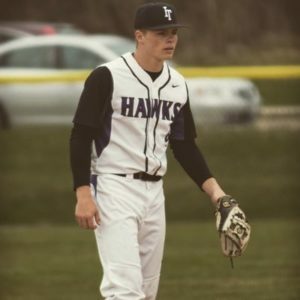 A 37-year state drought ended last night when the Los Angeles Dodgers selected Kenosha Indian Trail shortstop Gavin Lux with the 20th pick overall. Lux becomes the first Wisconsin high schooler to be selected in the first round since Nekoosa’s Kevin Brandt was taken by the Twins in 1979. Already committed to play at Arizona State, Lux entered the draft as the second ranked high school shortstop in the nation. In the second round, Verona catcher Ben Rortvedt was selected 56th overall by Minnesota. He’s committed to play collegiately at Arkansas. Meanwhile, the Brewers added three players to their organization via the MLB First-Year Player Draft Thursday night. Milwaukee chose Louisville outfielder Corey Ray with the fifth overall pick. Ray, a Chicago native, batted .319 with 55 runs, 15 home runs, 60 RBI, and 44 stolen bases his junior year with the Cardinals. The Brewers also selected third baseman Lucas Erceg out of Menlo College with the 47th pick and catcher Mario Feliciano from the Carlos Beltran Baseball Academy. The draft resumes at noon Friday with rounds three through ten, and the remaining 30 rounds set for Saturday.